Happy Tuesday! So I've had this cute little number of a dress since last summer purchased from a boutique in Santa Monica. I just love it! It's one of my fav sleeve less bodycon dresses in my closet. 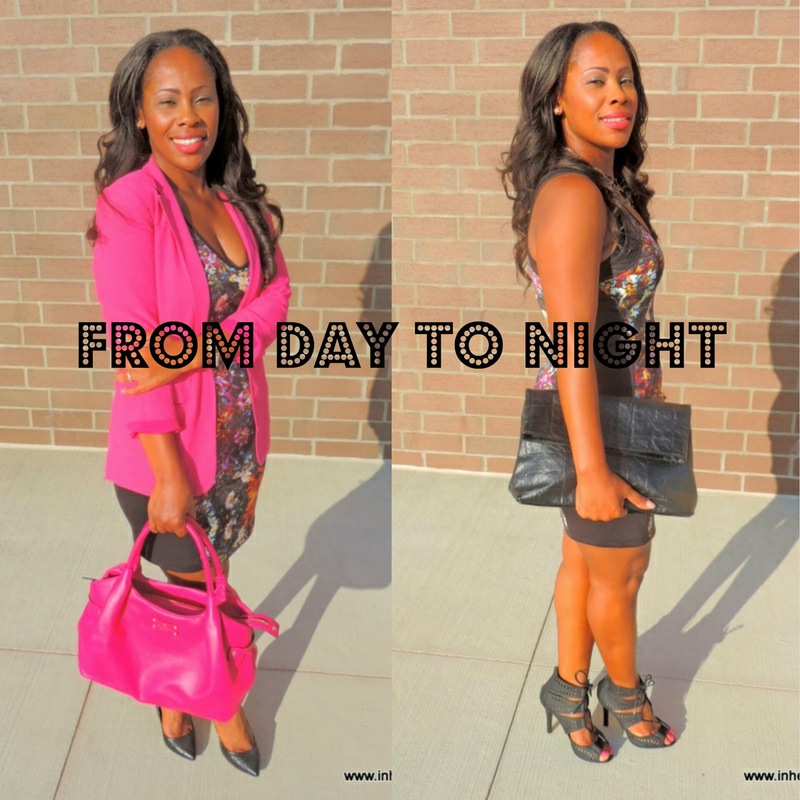 For a day look I added a fuchsia pink blazer from Forever 21, pink Kate Spade bag, and basic black pumps from justfaab.com. For my night look I'm wearing a necklace from Forever 21, bag from justfab.com, and heels from gojane.com. It's very easy to achieve a haute day look by tossing on a blazer and closed toe pumps. While this is not your most conventional day look... depending on your day job you can totally pull this look off! Keep it fab, style lovers!